What Do You Do When Your Orchid Loses All Its Flowers? If your orchid loses all of its flowers, you should cut the flower stalk about an inch from the main stalk, water it and stick it in a window with indirect sunlight. 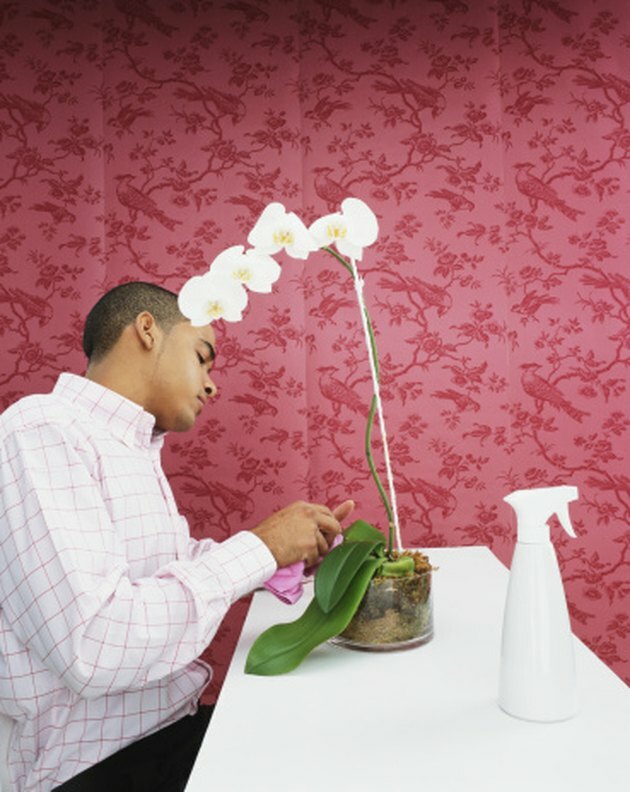 Contrary to popular belief, orchid flowers do not last forever, but when properly cared for can last a month or more. 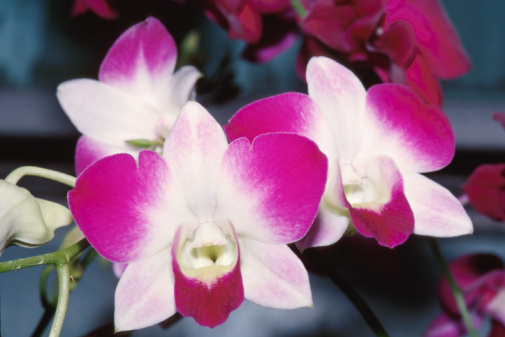 Orchids are extremely hardy plants that can grow well and bloom with minimal care. Orchids are extremely easy to care for and enjoy. 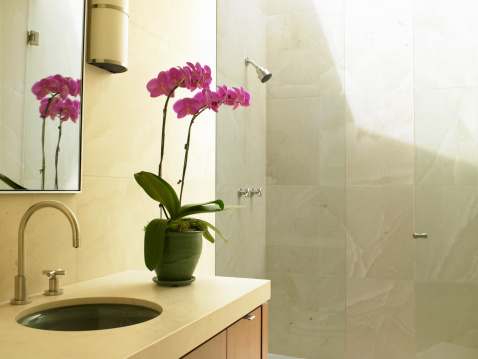 Orchids are topical and subtropical plants that require moisture and indirect sunlight. Depending on the amount of sunlight, temperature and moisture in the air, orchids should be watered at least once a week. Watering can be a light misting to a thorough drenching of the growing medium. Orchid fertilizer should be used occasionally and in accordance with the product's directions. To ensure the roots do not rot, air movement, however slight, is critical. Pests like aphids, mites and scale should be treated with an organic material specific to the pest. Orchids grow everywhere in the wild, so virtually any planting medium will work. With the right moisture conditions, orchids can grow without soil at all. Common household growing media includes bark pieces, sphagnum or peat moss or perlite. Whatever the medium, it should retain moisture for about a week to allow moisture to slowly evaporate. Never use soil or allow the roots to soak in a pool of water. Both soil and standing water will rot the roots and kill the plant. After the flowers have faded and died, orchids require a short dormant period to send out new roots and new flower stalks. New roots will usually appear in the area of the last flowering stalk. An orchid is healthy if you find new white or light green fleshy roots. After several weeks, new growth on the main plant above the roots will grow into a new stalk with flowers appearing before long. With the explosion of orchids available in grocery stores, big box hardware stores and flower shops, there is a good chance perfectly healthy orchids can be found in the potted plant clearance section. Look for plants that have healthy green leaves or are not too wilted and show new root growth. Immediately repot and water them when you get home, and soon you will have a large, inexpensive orchid collection. Charles Morin began writing professionally in 2011, offering expertise in small businesses, entrepreneurial financing and advising large complex organizations. Morin holds a Bachelor of Business Administration in finance from Temple University and a law degree from the Widener University School of Law. When Are Orchids in Season?